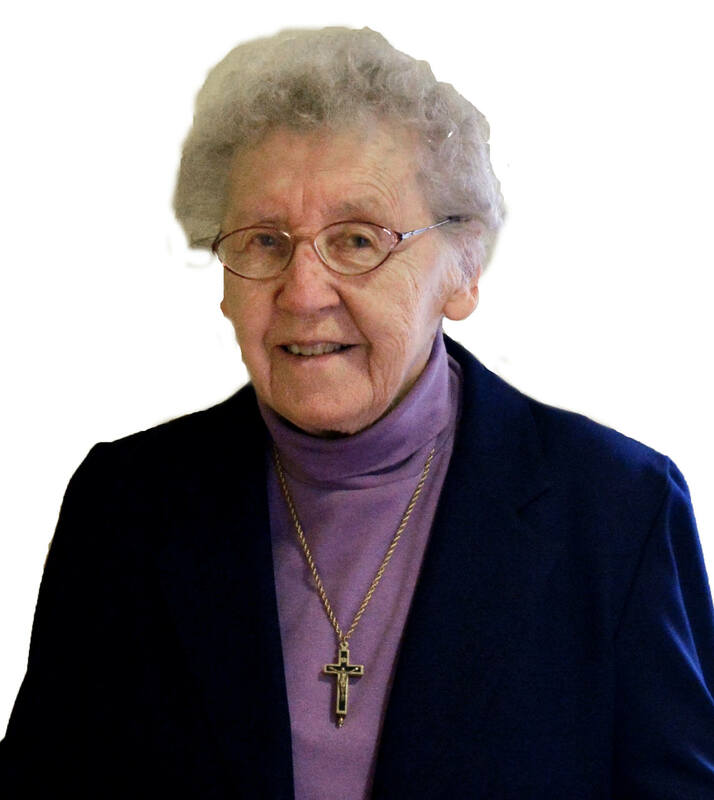 Sister Teresa Katherine Cheslock, CSJ, 90, died Friday, January 15, 2016, in Villa St. Joseph in Baden, in the 52nd year of her religious life. The daughter of the late John and Katherine Pisko Cheslock, Sr. Teresa Katherine entered the Congregation from St. Patrick Parish in Canonsburg, Pa.
She had earned three science-related degrees, including a PhD in Human Nutrition from the University of Wisconsin, Sister began ministry as a high school science teacher at the former Fontbonne Academy in Bethel Park where she taught from 1967-74. Affectionately known as “Sister T.K.,” Sr. Teresa Katherine has been described as a gifted, caring teacher and inspiring mentor to students whom she encouraged to fully develop their skills and talents. Sr. Teresa Katherine later served as a Director of Religious Education at St. Paul Parish in Butler (1974-1980) and Immaculate Conception Parish in Washington, Pa. (1980-1997). For the next 24 years, Sister served in pastoral ministry in Canonsburg, Pa., and then retired to the Motherhouse. When the Diocese of Pittsburgh asked parishes to implement a “faith revitalization program” in 1989, Sister already had begun several years of groundwork for spiritual renewal at Immaculate Conception, one of the first parishes to respond to the mandate. She tapped into the energy of the Adult Education Committee, organizing more than 30 weekly Bible study and contemplative prayer groups. Sister will be remembered for her gentleness, intellectual curiosity and deep respect for nature. Sr. Teresa Katherine is survived by a sister: Helen (Frank) Rudolph of Dallas, TX, one nephew, Paul (Joy) Cheslock of Canonsburg, Pa., and a niece, Theresa (Bill) Curry of West Finley, Pa., grandnieces and grandnephews and the Sisters of St. Joseph of Baden. Friends will be received Sunday from 1-8 p.m. and Monday from 11 a.m. – 2:30 p.m. at the Motherhouse of the Sisters of St. Joseph in Baden. Prayer Vigil will be Sunday at 6 p.m. at the Motherhouse. Mass of Christian Burial will be offered Monday at 3 p.m. in the Motherhouse Chapel. Burial will follow in the Sisters’ Cemetery on the Motherhouse grounds. Donations in the name of Sister Teresa Katherine may be sent to the Sisters of St. Joseph Memorial Fund, St. Joseph Convent, 1020 State Street, Baden, PA 15005. Make a donation in memory of Sister Teresa Katherine.